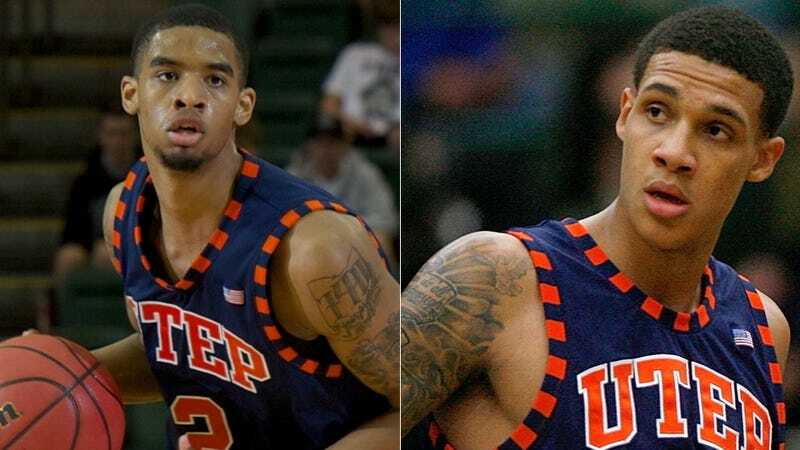 Two Texas-El Paso players, including the team's leading scorer, have been suspended indefinitely, and coaches and administrators won't give even the slightest hint of a reason. Now comes word that the FBI is involved. We think we have a pretty good idea of what might be going on. On December 28, McKenzie Moore and Jalen Ragland, both junior guards, were suspended from the team. "It is based on a violation of team rules," coach Tim Floyd said at the time. "I'm not able to talk about it right now but it will all come out eventually." AD Bob Stull refused comment, but Floyd later confirmed that he's not just being coy. "Right now I've been asked not to say anything," Floyd said. In the absence of facts—a local TV station found no police reports concerning the two players—rumors took over. On campus, on message boards, and in our inbox, claims of an investigation into point-shaving have flown. Those rumors were bolstered by a report last night that the FBI is investigating two Miners players. Point-shaving is a federal crime, and any allegations are investigated by the FBI, rather than the university or NCAA. So far the local FBI office has been as tight-lipped as UTEP, so it may be a long while before anything concrete comes out. Update, 4:15 p.m.: In a news conference, school officials say Moore, Ragland, and a third player, guard Justin Crosgile, are suspected of betting on sports. Upon finding out, UTEP reported the matter to the FBI. No point-shaving is suspected, and there is no indication the three bet on UTEP games. Heard anything? Let us know.